Posted by Dave Emory ⋅ March 26, 2018Post a comment Email This Post Print This Post Tweet This! COMMENT:In numerous programs, we have highlighted the Nazi tract Serpent’s Walk, which deals, in part, with the rehabilitation of the Third Reich’s reputation and the transformation of Hitler into a hero. As the saying goes, you can’t judge a book by its cover. But there are exceptions. 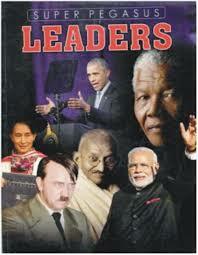 For instance, when a children’s book is entitled “Great Leaders” and has a picture of Adolf Hitler standing next to Barack Obama, Mahatma Gandhi, and Nelson Mandela, that’s the kind of book cover that suggests this is a book best worth skipping. Do some substitutions in those sentences along the lines Thackeray wanted to do with Mein Kampf. Indeed, what you get is a more than adequate description of … no surprise, Thackeray himself. . . .